This week Jim and Greg welcomed Powerhouse Sound, a veritable who's who of avant garde jazz and rock musicians. Ken Vandermark, world-renowned reeds player and MacArthur Genius grant winner, assembled this bi-coastal motley crew to experiment with fusing jazz, rock, funk, blues and reggae. With him on the U.S. side of this project is bass player Nate McBride, as well as drummer John Herndon and guitarist Jeff Parker of the group Tortoise. The group has a new album out comprised of recordings done both here and in Norway entitled Oslo/Chicago Breaks. Ken explains to Jim and Greg that the idea for Powerhouse Sound was inspired by Miles Davis' experiments with blending jazz and popular music. In the 1970s, Davis began working with a diverse group of musicians to create an improvisational sound that is as much funk as it is jazz. Greg notes that this was a heavily controversial period for Davis; jazz purists saw it as a commercial sell out. But, like Davis, the members of Powerhouse Sound are not interested in boundaries and musical dogma. The sound is the key. You can hear this freedom in their performance of "Shocklee/Broken Numbers." Check out the piece in its entirety here. By the late '90s, Tortoise became the leading band of not only the Chicago scene, but the global post-rock movement. The all-instrumental band was founded by Doug McCombs and John Herndon as a bass and drums duo in the late '80s, inspired by Jamaican rhythm-section-for-hire Sly and Robbie. Eventually the band came to include John McEntire, Dan Bitney, and jazz guitarist Jeff Parker. Tortoise received massive critical acclaim for the 1996 album Millions Now Living Will Never Die and 1998's TNT. On the latest record The Catastrophist, the band experiments with the strangest innovation of all: vocals. Tortoise joins Jim and Greg for a conversation and live performance. Makaya McCraven is a young, Chicago-based jazz drummer who also deconstructs his own live improvisational recordings to make hip hop reworks. 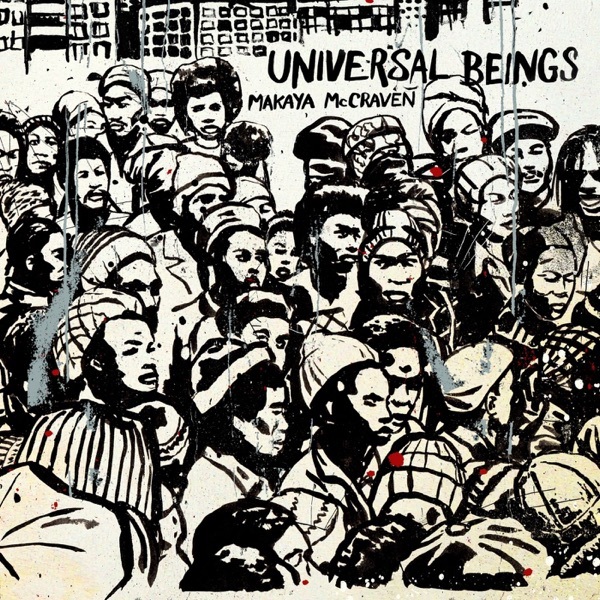 Makaya's latest album, titled Universal Beings, features young jazz luminaries like bassist Junius Paul, horn player Shabaka Hutchings, jazz harpist Brandee Younger, and cellist Tomeka Reid. Also featured on guitar is Jeff Parker, who is probably best known as a member of Chicago post-rock group Tortoise; but Parker is a staple on the jazz underground scene, as well. Makaya took the products of recording sessions in New York, Chicago, Los Angeles, and London and electronically condensed, looped, and reworked them for the tracks on the final album. Jim and Greg compare Makaya's process to Teo Macero's post-production edits of Miles Davis sessions during Miles' electric period on albums like On The Corner. Greg notes that the album has the crossover appeal of work by other young jazz artists like Thundercat, Robert Glasper, and Kamasi Washington. They both agree that Universal Beings is a great introduction to a new international underground jazz scene. Jim adds that Universal Beings "is a brilliant… and, yet easy to listen to… seductive album".